The new Prexport Touring Boot is designed for adventure sport riders looking for supportive, comfortable and hard-wearing footwear without the restriction of full-on motocross or enduro boots. Unlike most adventure or off-road boots, the Touring is waterproof and breathable, thanks to the use of a Prexportex membrane, which helps to regulate temperature, keeping feet dry and comfortable even in changeable conditions. The tough yet supple full-grain leather outer is fitted with stretch panels at the calf, heel and front, allowing plenty of movement both on and off the bike. There are also internal padded sections at the ankles, plus reinforcement over the ‘shift zone’ to help alleviate pressure pains when changing gear. 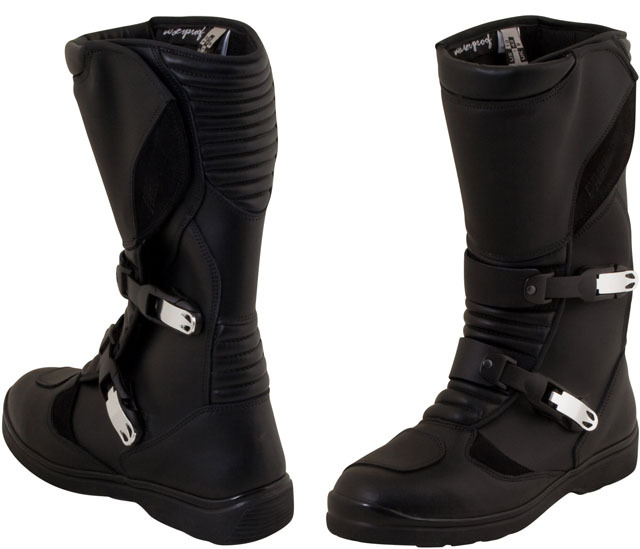 Adjustable securing buckles allow for the use of thick socks during colder days and ensure a snug and secure fit, helping to keep the Touring boots firmly in place. A reinforced inner sole helps keep feet supported when standing on the pegs and the outer sole has a deep tread for a sure-footed feel both on the bike and on foot. 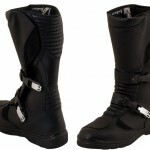 The Prexport Touring Boot is available in sizes 7-12 [Euro 41-47] in black. Click here for details. 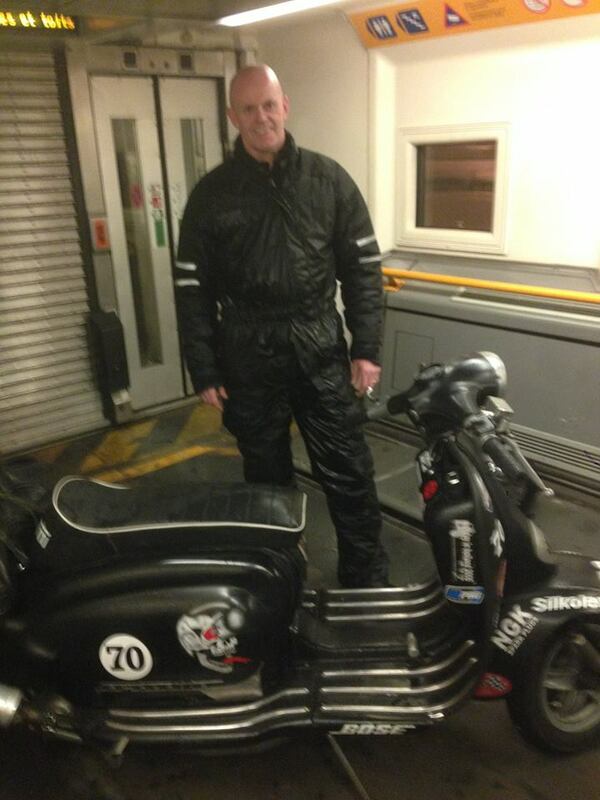 “I bought this Weise Thermal Quilted Suit about a year ago now and have been so impressed with it that I can say, for sure, that this is the best piece of motorcyle equipment I have bought to date” writes classic scooter enthusiast Gary O’Neill. 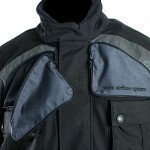 “It is completely water proof and wind proof and a doddle to put on and take off, unlike most other all in one suits. I have ridden thousands of miles in this suit, a lot in minus temperatures, and can honestly say have never got wet or cold in it . In my opinion this is probably the best all in one suit on the market and great value for money at under a £100”. Made from strong waterproof nylon with taped and welded seams, a full thermal quilted lining throughout and 3M™ Scotchlite™ reflectors, the Weise® Thermal Suit is available in sizes XS-4XL and retails for £89.99. Find out more here. Nicky Murray from Canvey Island rides on average 100 miles a day on his Honda SH300i scooter. Riding in the rain doesn’t bother him too much; “Well it’s not always cold & wet and riding really does pay off in the spring/summer. As long as I wear the right clothing there isn’t much problem either way”. 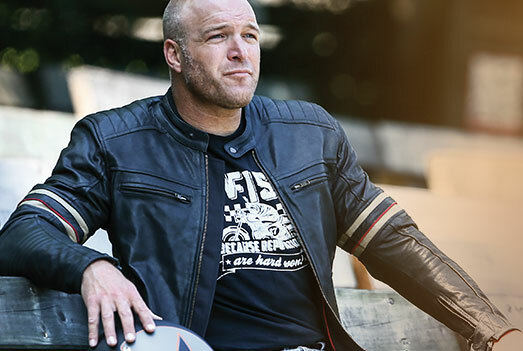 Jacket: “My jacket over the last four years has been the Weise Nomad; I bought this with the intention of wearing it all year round, and I have. 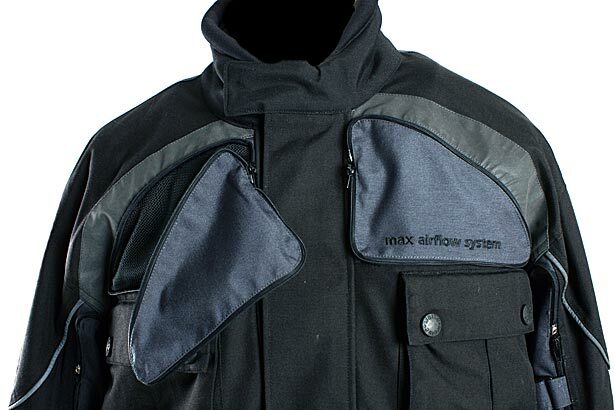 With the removable vents all over the jacket and the waterproof/windproof membrane that fits inside it really has been a jacket I can wear any time”. Trousers: “Weise DynaStar II trousers are a great fit and weight; these are by far my favourite, so much so that I have had three pairs now”. 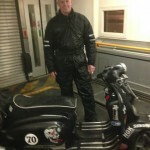 Read all about Nicky’s 30,000 mile annual commure on 2commute.